Knowledge of all aspects that are involved in alcohol consumption is crucial to enable the person to consume so enjoy responsibly and avoid the unwanted. 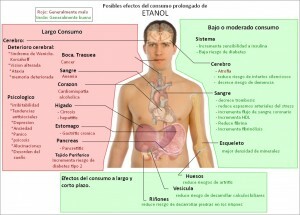 Alcohol and psychoactive substance commonly occurs in alcoholic beverages as ethanol. It is a legal drug in most of the world, being the substance of psycho-neural effects most consumed worldwide and causing the most problems unwanted physical and psychological, with all the social implications that entails, such as accidents transit, work and family problems. The effects of the intake of this substance largely depend on the conditions of its use. Not so if the stomach is empty or if the body is well hydrated and this condition holds for consumption. Once alcohol reaches the bloodstream (between half an hour and ninety minutes after entering the body) almost all body tissues receive it. – A first phase of excitement: being a substance central nervous system depressant, that means our brain ‘switch off’ the natural mechanisms of response to stimuli, both external and physical, or psychological and internal. This situation at first causes a feeling of serenity, joy or indifference. – Alcohol causes accelerated synthesis of sugars in the body, which consumes glucose reserves rapidly making the consumer feel physical exhaustion. – A second phase of confusion: reflexes, automatic body reactions to stimuli, they become late or failed. 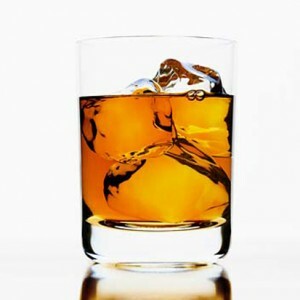 Alcohol moves through areas in our brain, altering mood, emotions, logical reasoning, memory and, later, if continued intake, speech and balance, being that point (the third phase, anesthetic) the last before the body reacts in a deep sleep causing the person. – If levels of alcohol consumption were relatively high, the body feels the effects of dehydration that causes as it inhibits the hormone vasopressin charge of balancing fluid levels in the body. Thus, the fluid in the body seeks other organs, including the membranes surrounding the brain, that being deprived of water cause the sensation of headache and hangover. – The last phase, bulbar or death, is achieved under large amounts of alcohol (5 grams per liter of blood), which can lead to cardiopulmonary arrest resulting in death. 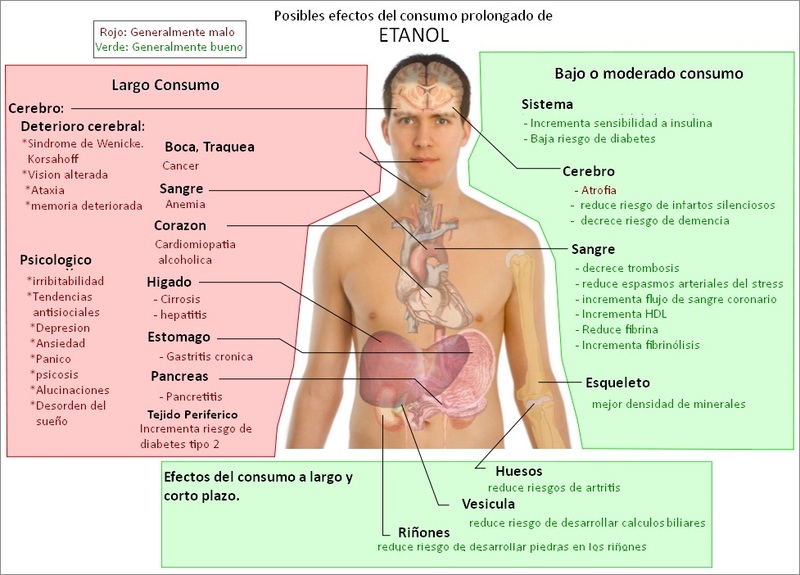 Depending on the regularity of consumption of drinks graduations and the quantities consumed and the age of the person at the beginning of their relationship with the substance, ethanol from drinks causes gradual physical and psychological changes. The sooner you start using, the more vulnerable the whole organism. Instead, the physical body, primarily the liver and cardiovascular system, suffers inconvenience and damage to any amount of the substance, leading them over time and with continued use, in serious diseases such as cirrhosis.